Singapore Maxi CAB 6 to 13 Seater is available 24/7 for city transfers to Singapore’s Attractions with options of per transfer or on hourly booking. Enjoy Exclusivity @ Affordable Flat Rates with MaxiCABooking SG. Call, Book and Confirm with our booking hotline and Be Driven in Style Anytime, Anywhere. 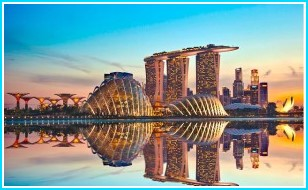 Despite her small size, Singapore is packed with superb and world class tourist attractions. 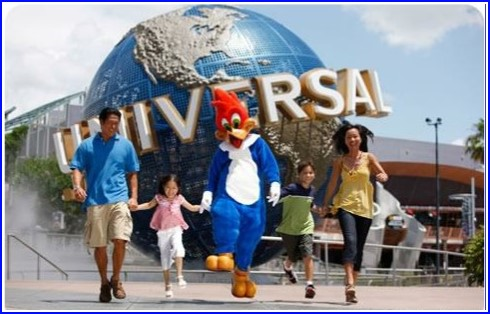 From nature to thrill rides, you name it, we have it, right here in Singapore. Beat the queues and get discounted ticket right here, right now! Be amazed as Madagascar, Revenge of The Mummy, Jurassic Park and Shrek come to life in the all-new Hollywood Dreams Parade. Dance and sing along to the thrilling beats with all your favourite characters in this captivating spectacle as you join the chorus of energetic dancers and magnificent floats that go beyond your imagination. Celebrate the movies you love as the streets of Universal Studios Singapore comes alive right in front of your eyes. Oh yes, the 3D Transformers Ride is a MUST!! Beautiful pavilions, wide open lawns, swaying palm trees and waist-high flowering shrubs welcome you at Bay East Garden, where you can admire the modern Marina Bay financial district skyline from along its 2km waterfront promenade. Find serenity at this interim garden, as you sit along the promenade with a good read or grab your camera and snap breathtaking views of the iconic. Conservatories and Supertrees against the Marina skyline. Enjoy a quaint stroll, family picnic or simply immerse yourself in a variety of recreational activities amidst this picturesque landscape. Standing at 165 metres above the city, The Singapore Flyer is the height of a 42-storey building – which is some 30 metres taller than the famed London Eye. 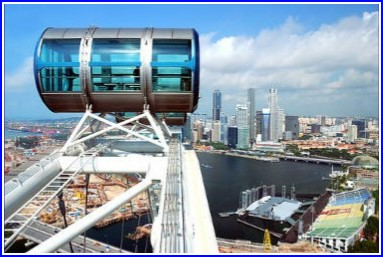 Ride on the world’s tallest observation wheel to catch the breath-taking view of Singapore’s iconic and historical landmarks and views from the Marina Bay to the Singapore River, Raffles Place, Merlion Park, Empress Place and the Padang. There is no other place in Singapore that offers these breath-taking, magnificent day and glittering night views.